Guess what makes Prime Minister Scott Morrison’s skin curl? 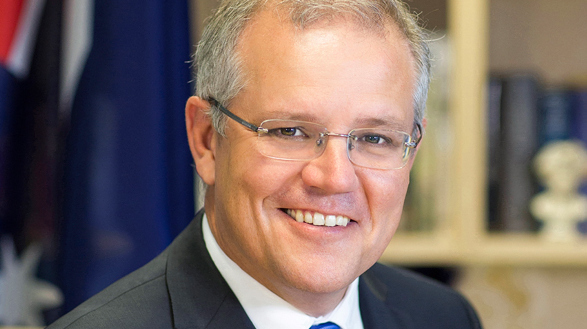 Prime Minister Scott Morrison has spoken out against the Respectful Relationships program that is taught in some Australian schools. The Prime Minster said it did. Morrison said he sent his daughters to an independent Baptist School to avoid them being exposed to the type of content contained in the program. The Respectful Relationships program is offered in Victorian schools and is described it’s goal as to promote and model respect, positive attitudes and behaviours. Teaching children how to build healthy relationships, resilience and confidence. Jones shared a role playing exercise used in the program where a student is asked to imagine what it’s like to be a young person who wonders if they might be a lesbian. The Prime Minister said he would be supporting the religious freedom that allows religious based schools to discriminate. “That’s why I want to protect the religious freedom of independent schools, so that they can continue on providing at least that choice.” Morrison said. The Prime Minister said state schools should focus on learning mathematics, science and English. A report on Religious Freedom in Australia has been completed by former Attorney General Phillip Ruddock, but it’s contents have not been made public.